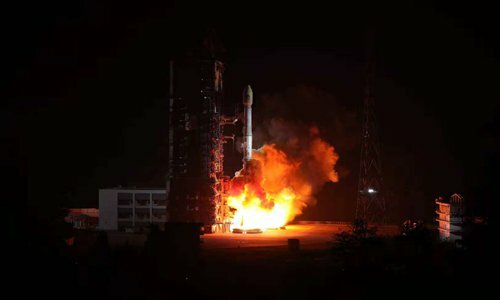 Launched from the Xichang Satellite Launch Center in Xichang, Southwest China's Sichuan Province, the satellites are 42nd and 43rd in the BDS constellation. The twin Medium Earth Orbit (MEO) satellites entered the designated orbit about three hours after their launch. "The basic BDS-3 constellation has been completed, marking a milestone for the Chinese BeiDou to go truly global," said Yang Changfeng, chief architect of the BDS, said at a press event on Sunday in Xichang. "BDS will reach worldwide coverage after the Monday launch with an enhanced accuracy of between 2.5 meters and five meters, and it will provide service that is twice as good as the previous BDS-2, without even being noticed by the users," Yang said. This year has witnessed that China has made intensive efforts in launching the array of satellites that make up the country's global navigation system. Since November 5, 2017 there have been 19 launches of BDS-3 satellites, with the shortest intervals between launches being only 17 days, said Yang. Such an intensive launch schedule is unprecedented in China's space history, Wang Ping, chief designer of BDS-3 family of satellites, told the Global Times. To achieve the goal, Chinese engineers and scientists have been planning and working accordingly round the clock since 2015, and broken the old tradition of "producing one and examining one," as the BDS-3 satellites and their components are in fact produced through a mass manufacturing but in a more scientific mode, Wang noted. 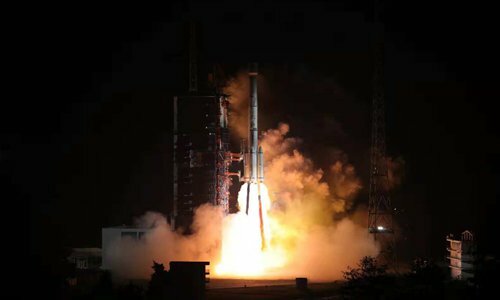 The Monday BDS-3 mission was the Xichang Satellite Launch Center's 15th of the year, and the center is expected to perform two more by the end of the year, Wu Chengde, deputy director of the political department at the launch center, told the Global Times. The previous number of launches from the center was nine in one year, said Wu. Some staff members at the center have worked up to 45 consecutive days in order to meet the demands of this year's launch schedule, Wu said. Yang also said that China is planning to launch eleven additional BDS-3 satellites including 6 MEO satellites, 3 Inclined Geosynchronous Orbit (IGO) satellites and 2 geostationary satellites, over the next two years. BDS targets first-class global services around 2020. The Chinese homegrown navigation system, which is named after the Chinese term for the Big Dipper, began serving China in 2000 and the Asia-Pacific region in 2012. More than 6.17 million commercial vehicles, 80,000 buses in 36 cities and 370 public service ships across the country have been using BDS, according to the data provided by the Ministry of Transport issued on Sunday. The system now covers more than 50 countries and regions with a total population of more than 3 billion, according to the Xinhua News Agency. A document the China Satellite Navigation Office sent to the Global Times on Sunday states that China and the US signed a joint statement on the compatibility of BDS and US' GPS signals in November 2017. Seven rounds of meetings have been carried out between officials with BDS and their counterparts with the European Galileo navigation system, and a bilateral working group has been established. China and Russia will hold a satellite navigation collaboration forum in Shanghai in May 2019. And the second China-Arab States BDS cooperation forum will also be held in Tunis in 2019. Witnessed by Chinese Premier Li Keqiang and his Russian counterpart Dmitri Anatolyevich Medvedev during the China-Russia Prime Minister’s Regular Meeting on November 7, satellite navigation authorities from two countries signed an agreement on peaceful use of BDS and Glonass, which provides a legal and organizational guarantee for the large-scale bilateral cooperation in the satellite navigation field.